People who suffer on-the-job injuries in the Peabody area may be able to bring a workers' compensation claim. Workers' compensation is a system set up to ensure that workers receive some compensation for job-related injuries without needing to prove fault. It is supposed to be easier to obtain benefits through workers' compensation than by bringing a civil personal injury lawsuit. However, many insurers deny legitimate workers' compensation claims, and having an experienced Peabody workers’ compensation lawyer on your side may make a difference as to whether you can recover benefits. In Massachusetts, almost all employers must carry workers' compensation insurance. 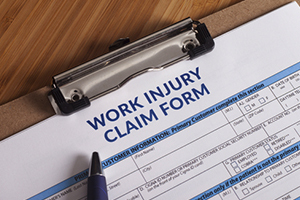 When an employee is injured, they may make a claim for benefits. Benefits that are provided through workers' compensation include survivors' benefits, medical benefits, disability benefits, and disfigurement benefits. Disability benefits provide partial wage replacement for a temporary, permanent, partial, or total disability. Your employer is required to report a claim to its insurer, which then investigates the claim within 14 days. At that point, they may start paying benefits or deny the claim. When a claim is denied, you should retain an experienced attorney. Your claim may be legitimate, and the denial does not mean that the insurer has a sound basis for denying the claim. Conversely, if you start to receive payments, you should not assume that the insurer is accepting liability. There is a pay-without-prejudice period, during which time the insurer may continue to investigate your claim. Either a claimant or an insurer may initiate the dispute resolution process available through the Department of Industrial Accidents (DIA). This is an administrative process through which you must exhaust your remedies before asking a civil court to review the matter. There are two informal stages and then three formal steps. However, it may be important to hire an attorney to represent you even during the informal stages. Thus, you can get off on the right foot and present your case in a persuasive light. You should not wait to retain an attorney until after you have exhausted your administrative remedies because a judge in civil court will need to give a certain amount of deference to decisions made by the DIA judge. You will likely need to undergo an independent medical examination and an impartial medical examination. Despite its name, the former exam is often performed by an insurer selected by the insurance company because they do not approve many claims and take a conservative view of injuries. It may be helpful to have an attorney during this process. The impartial medical examiner is chosen by an administrative law judge. They will review the medical reports and write a report of their own, advising the judge about whether your injury or illness is work-related and how significantly you are disabled. Peabody is a city in Essex County with a population of over 50,000 residents as of 2010. Once a center of the leather industry, it is now home to many major companies, including Boston Acoustics, Meridian Interstate Bancorp, and UTC Aerospace Systems. If you are hurt on the job, you should retain the Peabody workers' compensation attorneys at Pulgini & Norton. Call us at 781-843-2200 or contact us via our online form for a free consultation with a job injury attorney.